Let's look at some stylish spaces for a moment to relax our minds just a bit... the weekend is fast approaching so it's time to start thinking about what you will do at home for comfort over the next few days. 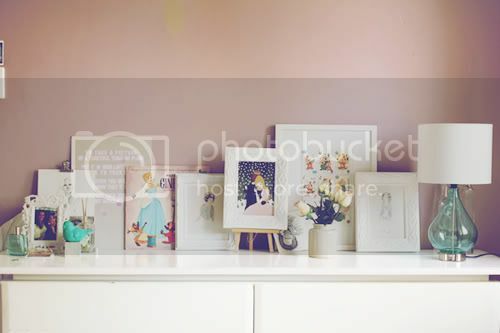 Perhaps these photos will be a starting point for you - giving you subtle hints as to how something can be arranged a little differently to bring in a special feeling or even some colors seen below may spark an idea or two for a new wall color or some art you've been meaning to work on. Please visit the links below each photo to make a few new Flickr friends, too! 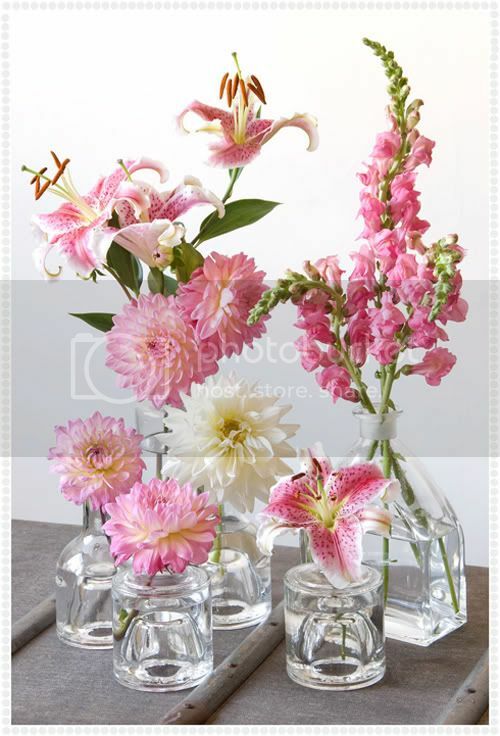 Such a pretty way to arrange simple glass bottles. I love the charm captured in this photo. 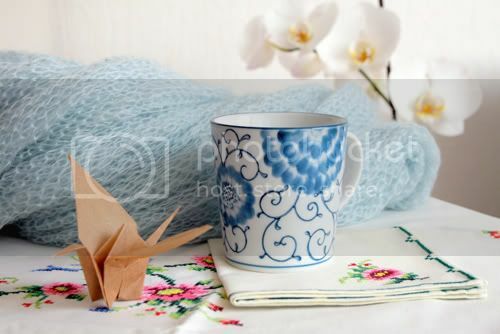 It reminds me of sitting at the table with my mother as she would love this cup and those linens. The big wooden blue clogs add some humor to this arrangement and the ceramics are very simple and lovely. 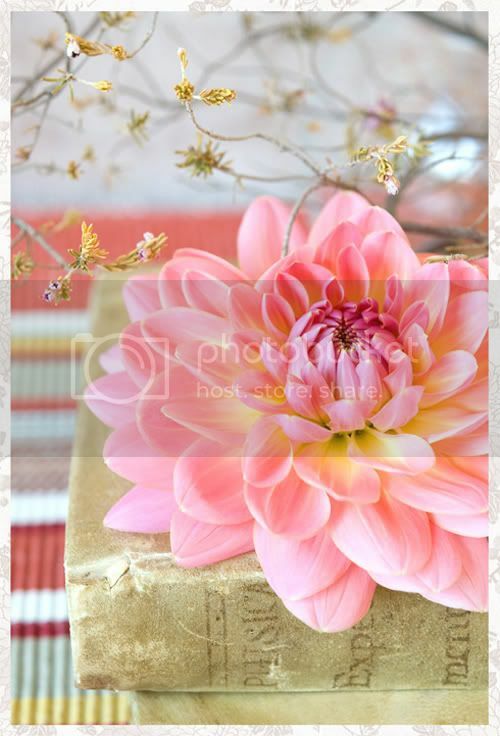 I also like the handmade flowers on the wall, what a pretty and affordable creative installation! 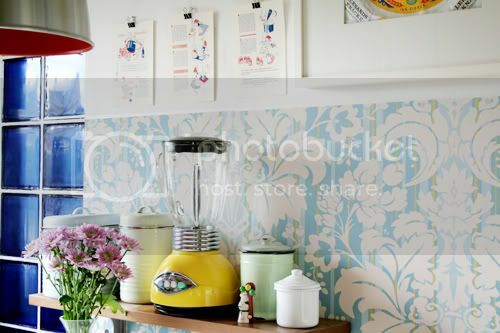 I love the yellow blender, I want to find one just like it and buy it! I also like the wallpaper, the color is one of my favorite shades of blue. The enamel and ceramic canisters speak to me too. Blues and greens can rarely go wrong. This arrangement of things reminds me of the coast. 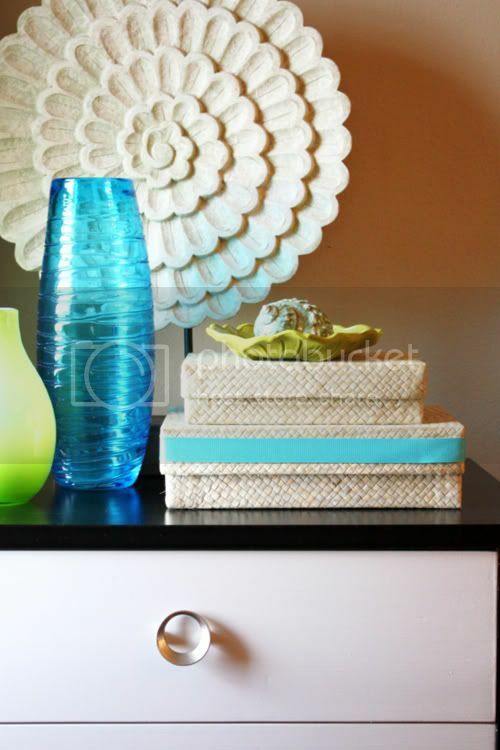 The texture of the boxes, the hardware on the cabinet, the vase that mimics both sea glass and waves... what a nice combination of objects. 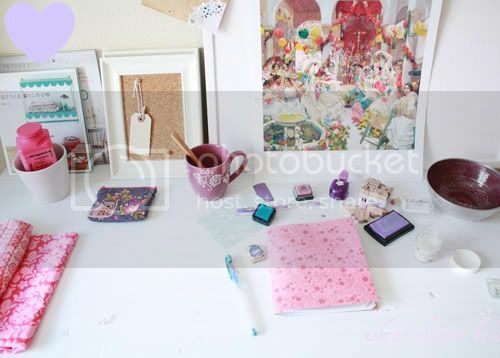 I like this arrangement of girly art and that pretty glass lamp completes it nicely. It feels very welcoming and soft, like the person who arranged all of these things has a big, sweet heart. I see these chairs in many homes but never, ever tire of them because the shape is classic and the combination of white and wood speaks to me, I always gravitate towards natural wood and white. I also like the massive inspiration/work board above the desk, it's practical but also gives room to display work with inspirational things. Words are simply not needed. This photo is stunning. What a relaxed photo! I like seeing the rubber stamps, ink pads and pens, and the other artsy things on this work surface -- it's inspiring and makes we want to get creative with my hands because there is such freedom and joy in making something for yourself or for a loved one. I've always loved walls like this -- with wallpaper handmade out of magazine tear sheets. 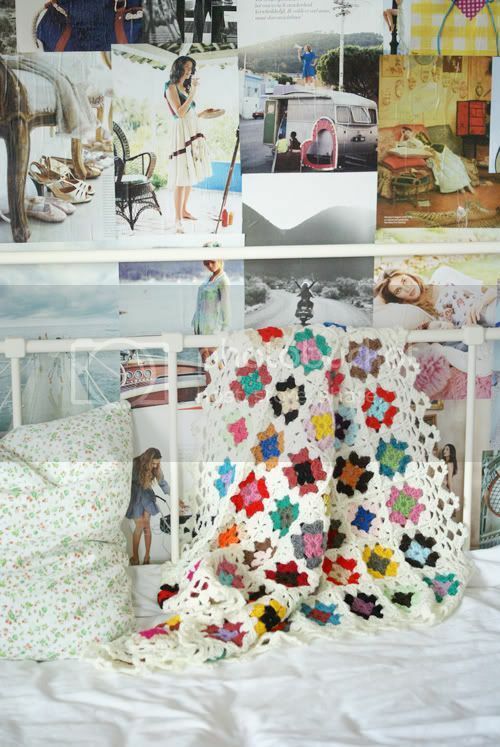 The homemade crochet blanket casually placed on the wrought iron bed next to the pillow with the dainty country pattern feels like the perfect place to curl up and read. This also makes me imagine the perfect guest bedroom and some of the elements that I always loved whenever I'd stay on my grandparents farm -- the linens that were always clothesline fresh, the vintage pillowcases (none of my grandmother's linens matched) and the little twin bed that I slept in. What will you do this weekend at home? I wish I had a more glamorous agenda but well, I plan to organize my pile of books! Imagine a stack of books that is 6 feet tall looming next to my sofa, it's quite intimidating! This is not a good way to treat beautiful art and design books and when half of the stack fell on me last night I realized that they are trying to tell me something. I plan to arrange them better this weekend (I just have no idea how or where) because this isn't working so well. I also need to organize my kitchen cabinets and order a china cabinet of some sort to place things in because I've run out of storage - eek! I plan to do some shopping and take a day trip to a nearby city too. What about you, will you be doing anything home-related over the next few days? What? Pottery Barn Gift Card Winners!